Alec Baldwin is competing in this summer's Special Olympics. To prepare, he's enlisted the help of an elite running team. If you ask Alec Baldwin what he's up to this summer, be prepared for a long list. The 25-year-old from Gimli, Man. is an accomplished singer, a dog show aficionado and an amateur painter. But this summer, he's got one big goal in mind: to win a gold medal at the Special Olympics in Antigonish, N.S. "I'm getting better all the time, and I'm getting faster and stronger," said Baldwin, "And so we need to train more and more." According to his mom Tanis, Alec's first experience with running came when he was in Grade 5. "Out at recess, he couldn't keep up with the kids. They would play tag and he was always it — and that was frustrating. So we got him running, and that changed." That slow kid has grown into a fast adult, and he's focused on winning gold. 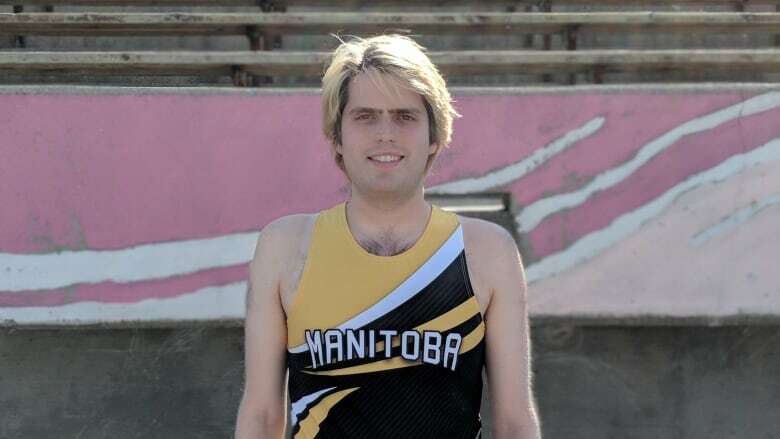 To help him get there, Alec and his parents have enlisted the University of Manitoba Bisons track and field program. Claude Berube is the track and field coach for the Bisons. He's welcomed Alec to train with the team, and says it's been a good fit. "He's trained with the girls in our group, and they've been receptive to him and he's been receptive to them. That's basically what you're looking for in a group: that people get along and they train together and push each other to improve." 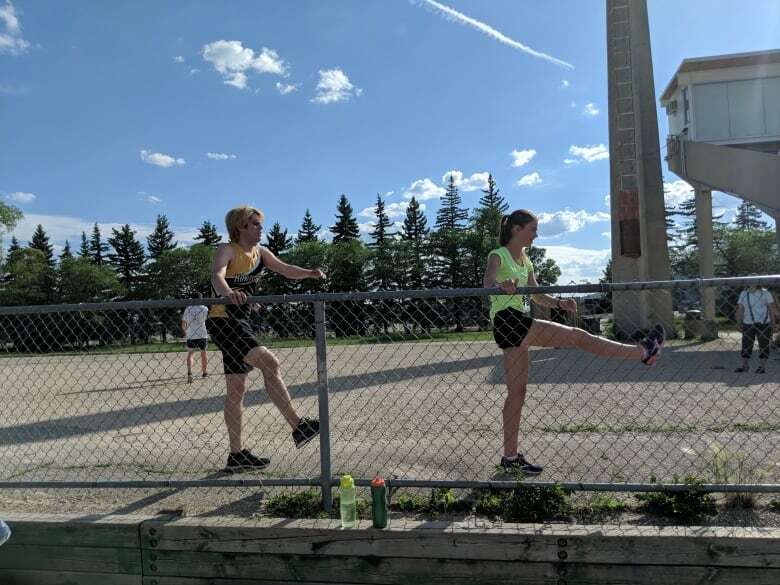 Darby Goodall, who is a first year track and field runner with the Bisons, has been running with Alec and says he's a welcome addition to their training group. "He's always really fun to train with, and makes it a little lighter, because sometimes it gets pretty serious but he's always joking around so that's nice." On top of being fun, Alec is also fast, says Goodall. "He helps us push it a little faster, so that's nice, because he's actually a little faster than us so we let him go ahead of us and then we chase him." The Special Olympics are taking place July 31, 2018 in Antigonish, N.S. Baldwin will be one of over 900 athletes competing. So if you see him, wish him good luck!